ADA seating may be available for single game purchase, single game exchange, and PSL Owner exchanges. For information regarding ADA policies, please view our ADA Seating Guide. Guests requiring accessible seats are strongly encouraged to contact the ticket office as soon as possible to make seating arrangements and ensure proper accommodations. Accessible seating is NOT guaranteed on the day of the event and Ravens games are typically sold out of all seating, including ADA seats. Single game tickets will go on sale once the 2018 schedule is released by the NFL.  Please check back for updates or subscribe to receive Ravens Ticket Alerts. There is a ticket limit of 2 seats for 2 games – this limit is consistent with all single game ticket purchases. Guests requesting ADA seating may call the ticket office at 410-261-RAVE (7283) to place the request at the time of the on-sale. No advance orders will be accepted. Guests requiring accessible seats for stadium events, including concerts, college football games, and other events with assigned seating, should contact the ticket office at 410-261-RAVE (7283) to ensure proper accommodations. All accessible parking is sold *for $40 per vehicle *on a first-come, first-served basis.Accessible parking passes cannot be purchased in advance. Parking Lots open 5 hours prior to kickoff. Guests with a parking pass for a non-accessible lot can show that pass to avoid an additional charge, if accessible parking spaces are available. Access to accessible parking spaces is limited to vehicles with disabled license plates or valid accessible hangtags. A valid Ravens game ticket must be presented as well. In addition, the person to whom the disabled tag was issued must be in the vehicle and may be asked to provide a state MVA disabled registration card. Guests can be dropped off at this location, prior to parking the vehicle, and picked up after the game. Upon entering the Service Drive, inform the SP+ parking attendant that you would like to utilize the disabled drop-off area. Two feeds are provided; the PA announcements and the Ravens radio feed. The Ravens have teamed up with Home Team Captions and VITAC to provide closed captioning for deaf and hard of hearing individuals at all home games. Closed captioning for the public address system is available on the ribbon boards around the seating bowl, as well as in the Ravens’ official mobile app (on the M&T Bank Stadium page). Closed captioning for the Ravens’ radio broadcast is also available on the M&T Bank Stadium page in the official mobile app or at BaltimoreRavens.com/GamedayCaptioning. The program will start running automatically. You can change font, font size, color and background, if needed. Tap Here from a mobile device (smartphone or tablet). Fans without mobile devices can acquire courtesy handsets on game days at any Guest Services Location (Section 100, 127, 500, or 526) or at the Club Level Concierge Desks (Sections 202, 223, 229, or 250) inside M&T Bank Stadium. There are four (4) banks of elevators in M&T Bank Stadium, - two on the North side and two on the South side, serving all levels of the stadium. North side elevators are located near sections 102 and 151 and South side elevators are located near sections 124 and 129. Please note that there are stairs to enter the elevator from the concourse at section 124. The elevators at sections 102, 129, and 151 are accessible for all guests. These elevators are for the exclusive use of Suite Owners and guests with disabilities requiring the use of an elevator, and may be accessed via the interior stadium concourse. Only guests with suite level tickets may enter the lobbies from the exterior of the stadium. - guests with disabilities and without suite level tickets MUST access the elevators from the interior concourse. There are two (2) escalators in M&T Bank Stadium, one on the North side (near section 150) and one on the South side (near section 127). Escalators only service the Club Level and thus only guests holding a Club Level ticket may utilize the escalators. Guest Service Centers are located on the Lower Level concourse (Sections 100 and 127), Upper Level concourse (Sections 525 and 553), and at the Club Level concierge desks (Sections 204, 224, 229, or 250). Wheelchairs, motorized wheelchairs and scooters are permitted inside M&T Bank Stadium. If the device is not needed during the event guests may check their mobility device at any Guest Services Center (Sections 100, 127, 525 and 553) or Club Concierge (204, 224, 229, or 250) and pick it up at the conclusion of the event. These wheelchairs are intended for transport only and not for utilization throughout an event. There are 64 restrooms located throughout M&T Bank Stadium. All are equipped with accommodations for guests with disabilities. Only service animals are allowed in M&T Bank Stadium. Emotional support dogs are not permitted.